After one of my last posts, I got a few comments from people who read my blog regularly (Mom, Dad). They mentioned that although my post wasn’t funny or worthwhile, they did think about laughing at the “said Nobody, ever” line. It’s the weekend, so let’s try and make Mom and Dad proud – said Nobody, ever. 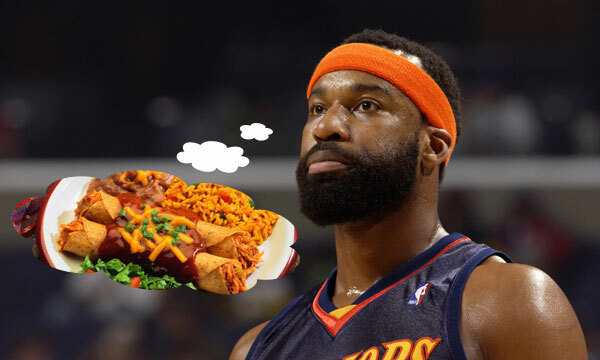 “Wow, Baron Davis is yoked.” – said Nobody, ever. “I’m sorry, who is Tim Tebow again?” – said Nobody, ever. “Yeah man, If I could pick one person to hang out with, it’d definitely be Eli Manning” – said Nobody, ever. “I miss John Rocker.” – said Nobody, ever. “Really stoked for that Phoenix Coyotes game tonight.” – said Nobody, ever. “I’m really stoked.” – said Nobody, ever on the East Coast. “Yeah, I always love watching games a minute behind live television on my DVR. Then if someone texts me about something crazy that happened, I can know before it happens. I can impress the ladies. It’s mad chill.” – said Nobody, ever. “I wish there were more baseball diving catches on the Top 10 Plays.” – said Nobody, ever. “Brandon Jacobs is so underrated.” – said Nobody, ever. “Hey man, you want to watch Lebron’s Decision on repeat, on mute?” – said Nobody, ever. “Haha, get out of town. Lebron would’ve sucked at any other sport.” – said Nobody, ever. “I wish Gus Johnson wasn’t announcing this game.” – said Nobody, ever. “I don’t want Gus Johnson to follow me around narrating my life.” – said Nobody, ever. “I know right? They should totally extend baseball season.” – said Nobody, ever. “You see that Tim Duncan highlight?” – said Nobody, ever. “Remember Barry Bonds?” – said Nobody, ever. “You’ve gotta check out that new Ron Artest album. Changing the game, for sure.” – said Nobody, ever. “Haha, UFC. Softies.” – said Nobody, ever. “Kevin Faulk still has a good few years left in him.” – said Nobody, ever. “Albert Haynesworth is a really good use of space.” – said Nobody, ever. “Remember that time we read that kid’s blog that had all the made up quotes in it about sports? That thing was hilarious. I want to be his friend.” – said Nobody, ever.